Preheat the oven to 400 degrees. In a large bowl, combine the chopped butternut squash, sweet potato and carrot. Drizzle with olive oil and sprinkle with salt and pepper. Mix well until all vegetables are well coated with oil. 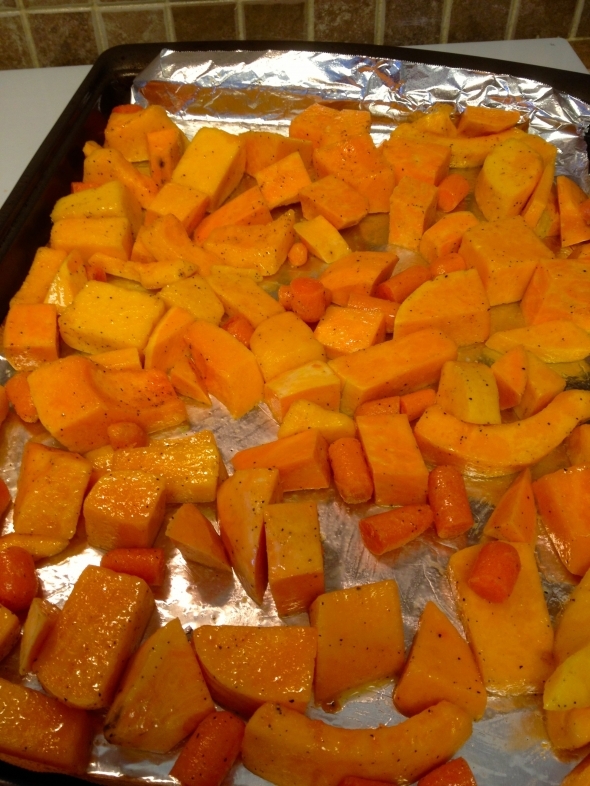 Add vegetables to a baking sheet. Roast in the oven for 40-45 minutes. Stirring every 15 minutes or so. Remove the veggies from the oven and set aside. In a large soup pot, add the olive oil. Add in the onion. Cook until tender. Add the garlic and cook for 2 minutes. 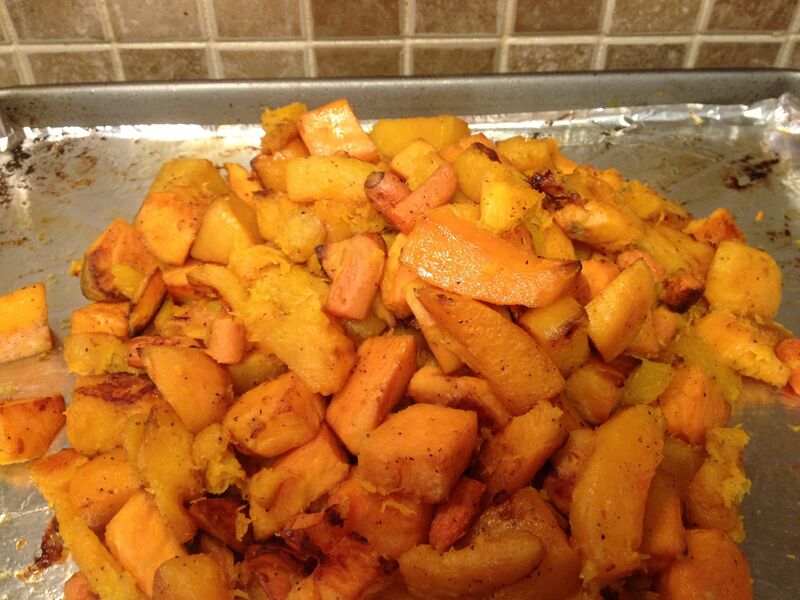 Stir in the roasted veggies. Cook for five minutes. 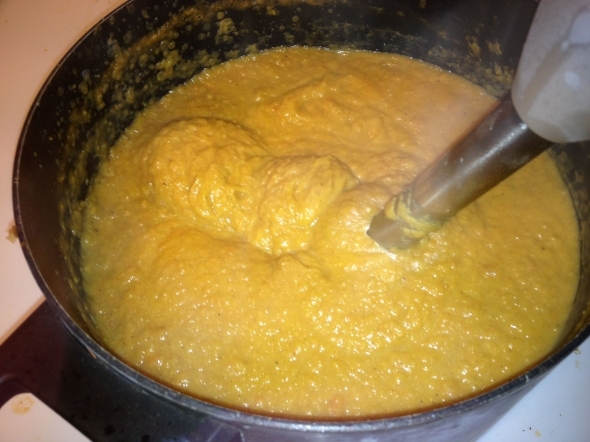 Add in the vegetable broth and water. Add the cinnamon, nutmeg, and salt and pepper. Stir. Let the soup cook for 20 minutes. Puree the soup with a hand held blender. 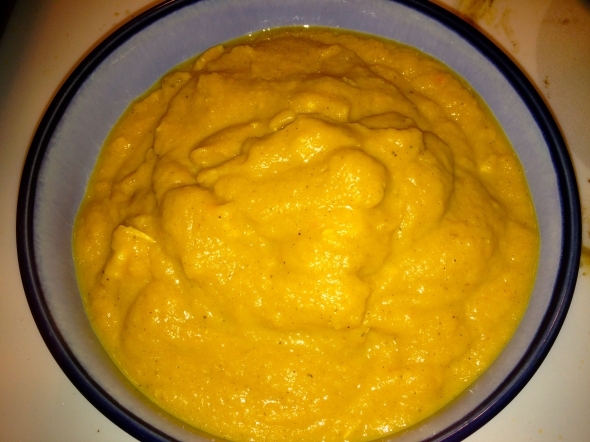 If you don’t have one, transfer soup to a blender and puree in batches. Cook for a few more minutes and salt and pepper to taste. Note: This can be made as a vegetarian dish. Switch out the chicken broth for veggie broth and eliminate the chopped the chicken. This entry was posted on Sunday, November 4th, 2012 at 5:45 PM. 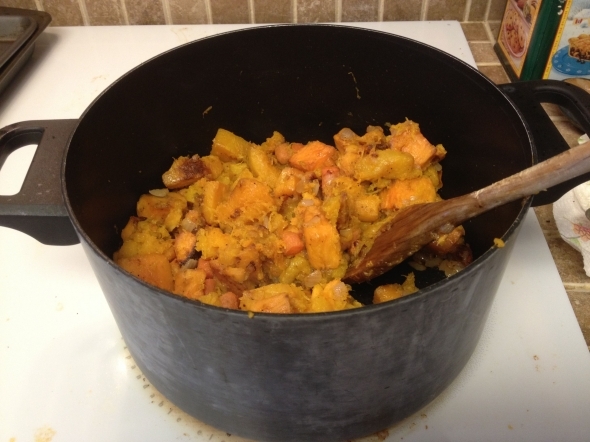 It is filed under Food and tagged with Butternut Squash, Chicken, Recipe, Sweet Potato. You can follow any responses to this entry through the RSS 2.0 feed. 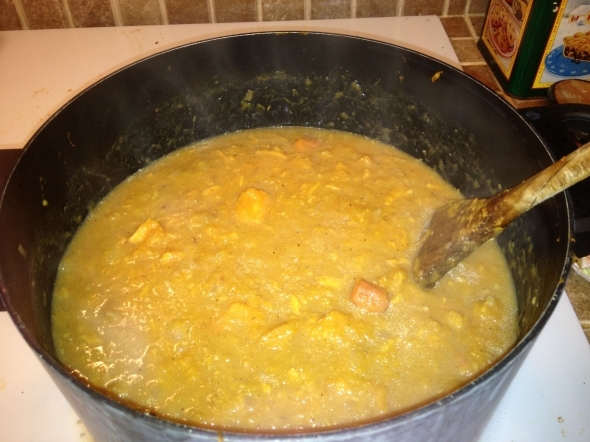 Did you like this better than last year’s pumpkin curry? Yes. This was really good!